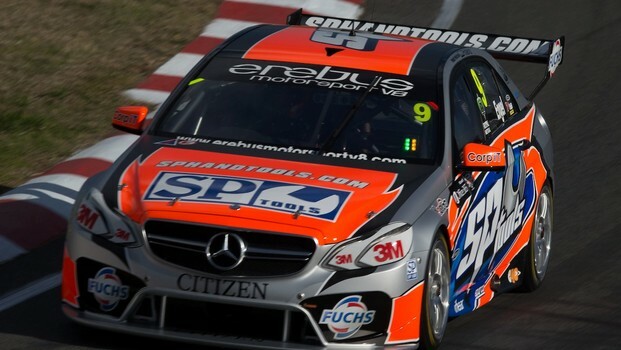 Erebus Motorsport V8 CEO Ryan Maddison, team manger DaveStuart and senior engineer Wes McDougall have made a flying trip to supplierHWA in Germany with engine performance at the top of the meeting list. The lack of bottom-end driveability of the team’sHWA-developed AMG M159-based 5.0-litre V8 engines has proved the most pressingtechnical issue in the helter-skelter initial development of the team’s threeMercedes-Benz E 63 AMG V8 Supercars driven by Lee Holdsworth, Tim Slade andGerman rookie Maro Engel. However, the visit will not speed up the timeline of engineupgrades, confirmed Erebus Motorsport V8 general manager Ross Stone. While some locally-developed software changes will provideminor bottom-end drive benefits for this weekend’s Tasmanian championship roundand New Zealand next weekend, it will be the Chill Perth 360 in May before asignificant performance boost arrives via a hardware upgrade being designed andmanufactured in Germany. The AMG ‘customer sport’ team’s three drivers havelanguished in the mid-field at best at both the Clipsal 500 and thenon-championship Australian Grand Prix meeting. Stone said the trio going to HWA’s Affalterbach headquartersmade sense: “It was easier to do an update face-to-face, do some planningface-to-face and a bit of a review. The Perth upgrade will be important not only to up engineperformance but also allow the team to fine-tune chassis spec, something thatcan’t be done until the M159 is more competitive. Stone predicted once these technical upgrades were made, theteam could start to think about racing for podium finishes. Added team CEO Ryan Maddison via a press release issued thismorning: “In the lead up to Symmons Plains a smallteam of Erebus engineers travelled to Affalterbach in Germany where we workedalongside the team there to map out a plan moving forward in 2013 whichencompasses short, medium and long term goals. “We see short term improvements with the currentpackage being optimised for Symmons Plains and Pukekohe. “Perth will represent the point when we expect toobserve notable improvements in the cars’ performance and by the time we enterthe endurance race season we should be heading into the phase for our long termgoals. It is literally akin to foundations and building blocks. In today’s practise for this weekend’s Tasmania MicrosoftOffice 365 at Symmons Plains, Holdsworth was the fastest Benz in 15th place, with Maro Engel 23rd and Tim Slade 24th.